So now that the 1st of April has passed by, we can sit and look back at all the pranks that were pulled by our favourite brands. Yes, our favourite brands decided to pull a fast one on us and many of us believed it to be true as well. Our belief in brands is so strong, that we totally ignored the fact that a sudden change or introduction of something new must be true despite the fact these changes were brought out on April fools day. 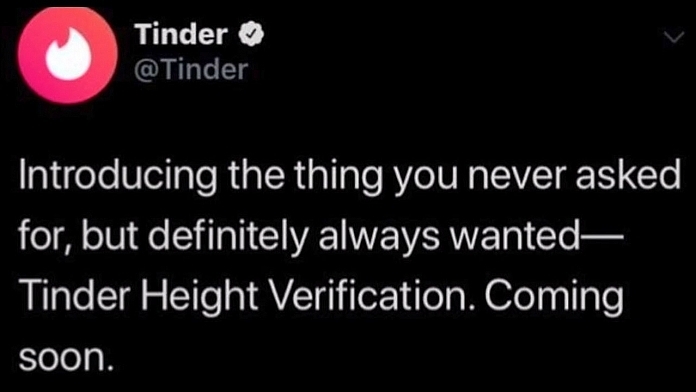 Take Tinder for example, who introduced the concept of adding height to men's profile. Some agreed with it whereas some were left flabbergasted. Enough of my rambling, here are the list of some of the best April fool pranks our favourite brands pulled on us. Keep your kids looking cute for years! Portable Public Privacy at its finest – go anywhere with our Phone BoothE Mobile EditionE. Dogs have dedicated parks everywhere. Cats have 0. Let’s change that. Introducing the #Roku accessory dog owners were begging for. The Press Paws remote puts your pet in full control.  . Check out the link in our story for more info! introducing our new single serve pack – Just the Chip! now you can practice safe snacking on-the-go, anywhere, anyplace, anytime, any position. #justthechip learn more via the link in our bio!  Tap the Snake icon and go!